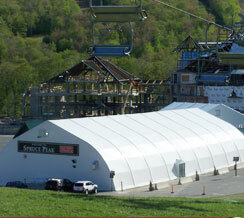 Find out what’s new at Universal Fabric Structures. 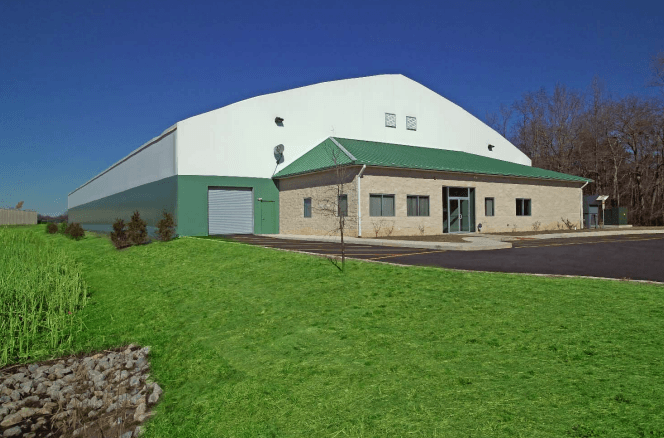 Click on the links below to read the latest company and product information or to find out how to reach our communications team. Hood College is an independent liberal arts college located in the historical city of Frederick, Maryland. Frederick is the third largest city in Maryland and is located approximately one hour from Washington D.C. and Baltimore. 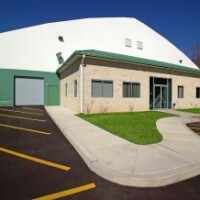 The school has close to 2,500 students in both graduate and undergraduate programs and prides itself on it’s competative athletic programs. 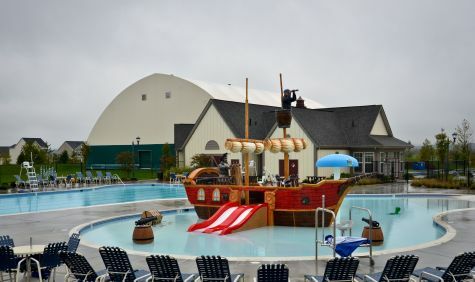 The college has been in the process of upgrading their aquatics center and in the fall of 2012 hired Universal Fabric Structures to design and build a new cost effective structure for their pool. 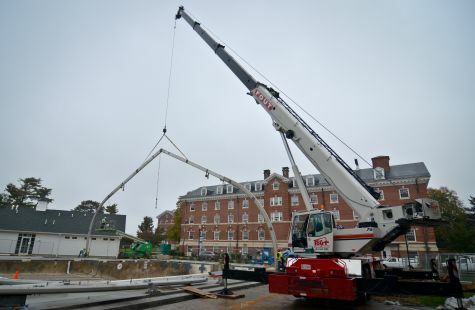 The existing pool at Hood was expanded by 2 lap lanes and the college removed the old air inflated structure it once used and UFS began raising arches in mid to late October with construction completed by late November. 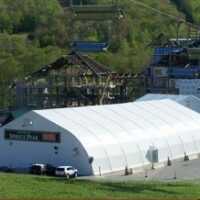 The structure is unique and spans from 80 feet to 90 feet in width and is 115 feet in length. Timelines for the project were tight so UFS used it’s aluminum TFS-RV series structure which can be raised and installed in weeks as apposed to months like traditional construction. 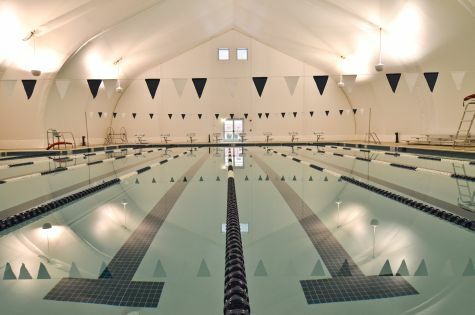 Now completed Hood has a state of the art, insulated and cost effective facility that will be used by the college swim team as well other local swim organizations. 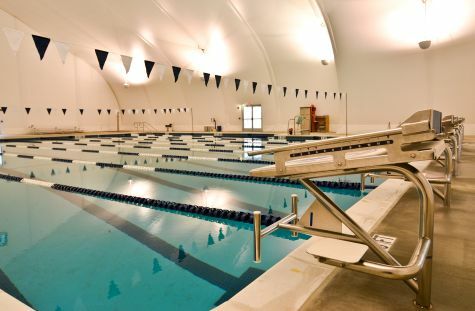 If you are interested or need information on the benefits of covering a swimming pool, diving center or an aquatic facility with a Universal Fabric Structure please contact UFS today at 800-634-8368 or by emailing us at sales@ufsinc.com. 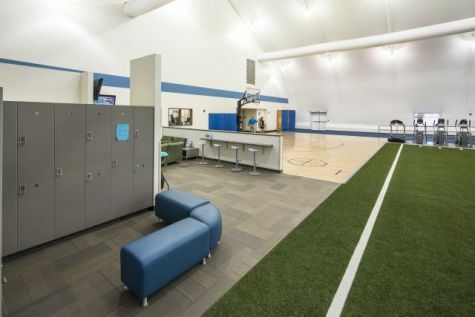 Sanford Health Power is a specialized division of Sanford Health Medical Services that focuses on orthopedic care and sports medicine clinics for people of all ages in the the region of Fargo, North Dakota. 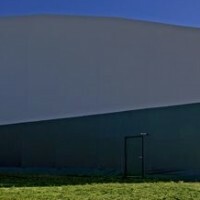 Sanford was in need of a clearspan structure for their expanding POWER program. 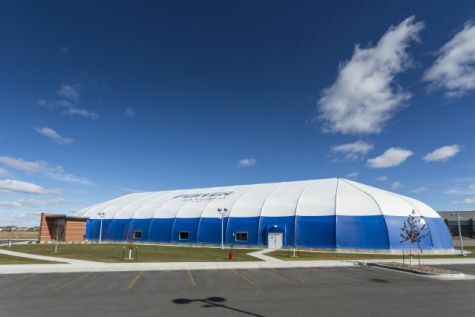 They choose a TFS-RV series structure manufactured by Universal Fabric Structures. 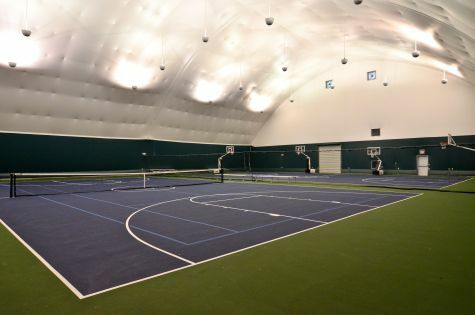 The structure design allows for indoor sports without any interior columns or obstructions. 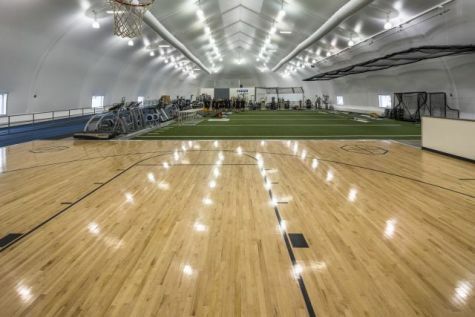 The building offers over 24 thousand square feet of amenities such as a turf field, basketball court, free weights and a specialized hockey treadmill. 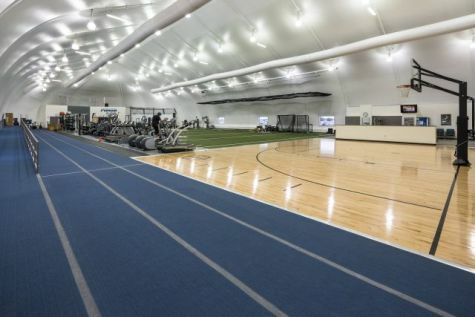 The 95′ wide x 260′ structure also includes two customized bell ends that allows for a walking/running track. 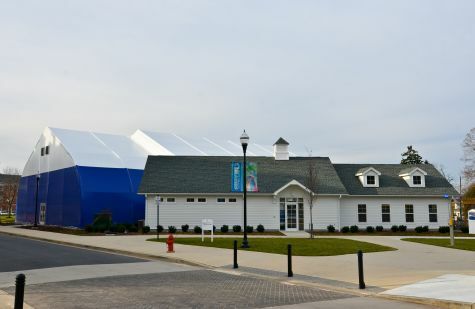 The structure itself is built with a 380-profile aluminum box beam frame covered with an architectural PVC fabric in royal blue opaque and white. 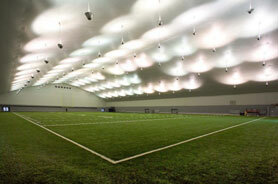 The structure has a translucent skylight running along it’s peak to optimize natural light and reduce lighting costs. 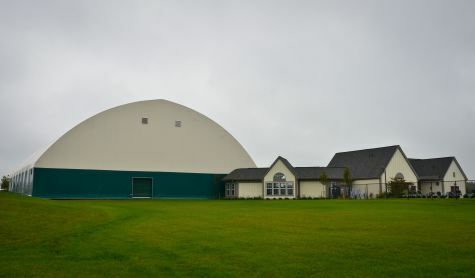 The Power center is outfitted with an R-30 fiberglass insulation package to keep clients warm in the winter and cool in the summer. The TFS-RV series sheds snow and meets a basic wind speed of 90mph, ExpC based on IBC 2006, with a design importance factor of 1.0. 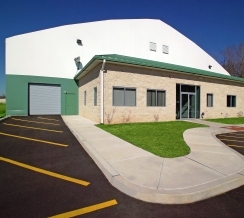 UFS worked with Zerr-Berg Architects and Greystone Construction on this project.